10-inch Video Color Monitor for viewing images from the UAV. Image improvement system in fog or smoke conditions through hardware. Manual control of the UAV in case eventual. The Base Station is the necessary complement to the entire system for programming and control of flights. 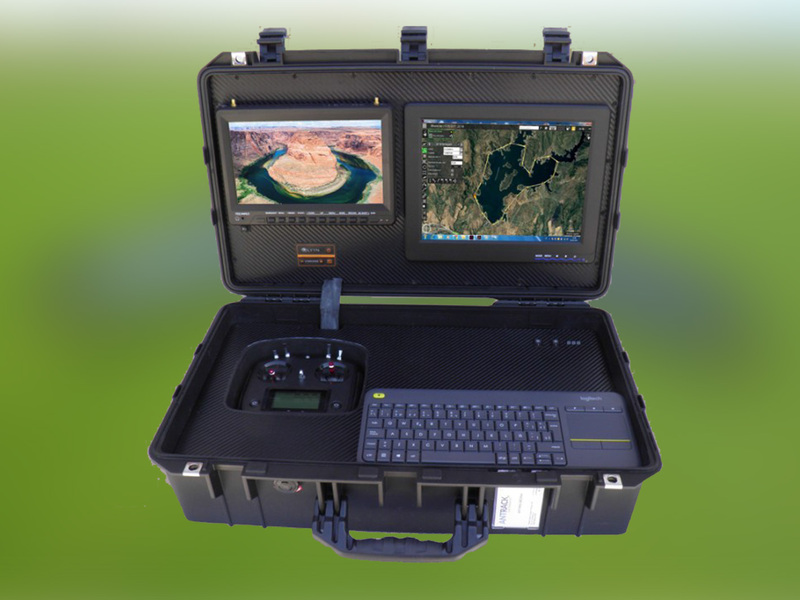 Includes a 12-inch color monitor for map viewing, tracking and mission status. It has its embedded computer integrated.